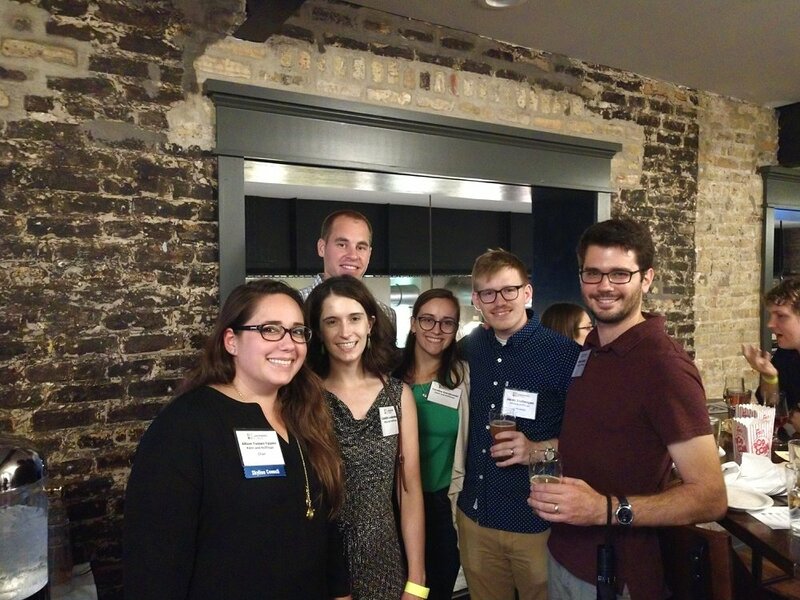 K&H members attended the 3rd Annual Skyline Council of Landmarks Illinois Summer Mixer at the Eris Brewery and Cider House. The event brought in real estate, architects, engineers, contractors, property managers, lawyers, and many other people in various fields to meet and mingle while sampling all the different brews Eris provided. Originally, the Eris Brewery and Cider House was the former Korean Presbyterian church which before that was the former Masonic Temple for the community. Talk about adaptive reuse for this one building! Our very own Allison Toonen-Talamo, now current Chair for the Skyline Council, gave a presentation to the audience about the importance of the Skyline Council and Landmarks Illinois and how to become part of these two leading forces for saving places in Illinois. View more photos on our Facebook Page! ◀ K&H Structural Team Welcomes Steven Nolin!